. 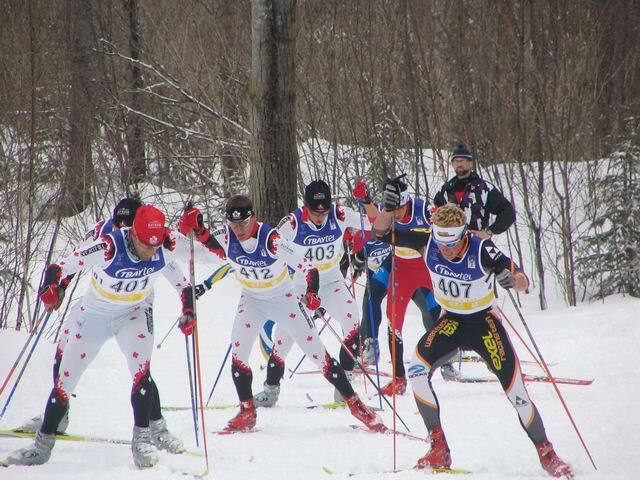 : 2006 National Championships: Mass Start Skate :: Ski XCOttawa.ca :: Skiing in Ottawa and Gatineau Park :. The conditions for today’s races, though not poor, could certainly be described as peculiar. About 5 cms of fresh snow fell overnight on top of a relatively sugary base. The temperature rose from –1C over night to about +2C during the race. The result was that the flatter sections of the course were hard and glazed in the centre of the track, and fairly soft closer to each side. The uphill sections were quite soft and energy sapping. As usual in races of this type there were clear differences between things such as people’s abilities to cope with strange conditions, not to mention some fairly severe differences in ski speeds. The mass start format only added to the (shall we say) intrigue with the inevitable occasional broken pole and pile up. Normally, these types of factors tend to spread people out a bit more than usual and this appeared to be the case today with time gaps being much wider than the previous day’s classic races. In the 10km open women’s event National Team member Daria Gaiazova triumphed again, this time by about 25 seconds over team mate Milaine Theriault. Tara Whitten of Exel Racing Team was third. In the open men’s 15km race the lead group of about 6 stayed together virtually until the finish, with Olympic team member Dan Roycroft prevailing over Adam Kates of Exel Racing Team and Chris Jeffries, also of the National Team. The rules governing this week’s races stipulate that the senior and junior races had to be run separately because of the mass start format. 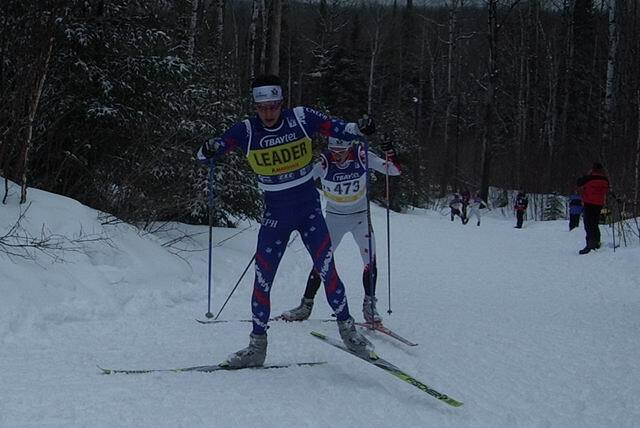 This meant that Alex Harvey, winner of the Open Men’s race the day before, competed with the Junior Men today. He took first in this race over Chris Butler and Brent McMurtry. All of these guys finished in the top ten the day before so this race format saved most of the senior men’s field from being beaten by the young folks (at least head to head). In the junior women’s race first place went to Brittany Webster, followed by Mallory Deyne and Kate Brennan. Webster won this race by over 2 minutes and would certainly have been among the top 10 or so in the open women’s race. 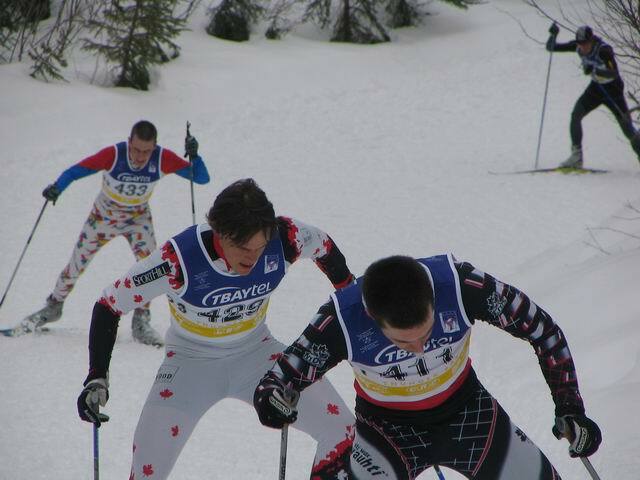 In conclusion, the future looks bright in Canadian cross-country skiing! 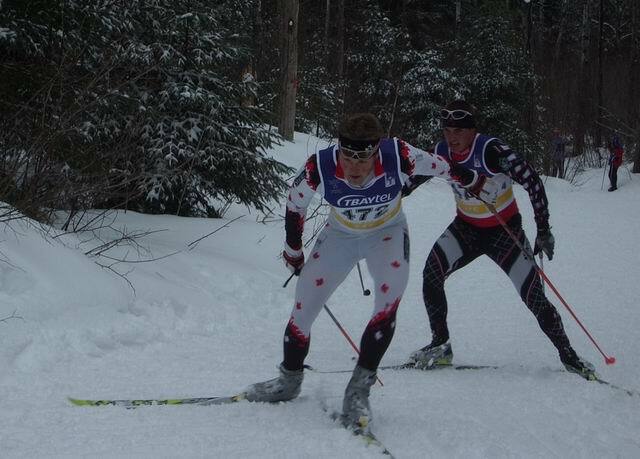 Races continue on Friday with skate sprints on the downtown Thunder Bay course. Skeets Morel and Phil Widmer. Race Report: Eload/Emend Marathon Race Report: Gatineau Loppet Weekend - My Strangest Race Ever! XC News: XC Zone Releases Hundreds of Videos to YouTube!